The report shows that in 2012-14, 8.5 women per 100,000 died during pregnancy or shortly after giving birth. The report highlights that two in every 100,000 died from heart disease, which is the leading cause of women dying in pregnancy or the early weeks after childbirth. There has been no significant change in the overall national maternal death rate since the last report. Commenting on the report, Cathy Warwick, Chief Executive of the Royal College of Midwives (RCM), said: “I want to reassure women that the number of maternal deaths in the UK is very low. However, this report shows that Governments have a long way to go in reducing maternal deaths. There has been some progress, but not enough and the lack of significant change in the overall maternal death rate is worrying. Behind each statistic is someone who has died, and whose death perhaps could have been prevented. “The number of deaths from cardiac related problems shows there is clearly a need for maternity services to improve on caring for women with heart related and other serious illnesses in pregnancy. This means caring for those who we know have problems better, and improving detection rates when these illnesses develop during pregnancy. “There is clearly a need for better team working and communication and multi-disciplinary working, between maternity staff and also with their colleagues in other disciplines such as cardiac care. We are seeing more and more women with more complex pregnancies and the services should be doing everything possible to ensure these women get the care they need. This includes improving the care for women in disadvantaged and hard to reach communities. “We have been vigorously highlighting the need for better continuity of carer, so that women see the same midwife or small group of midwives during their pregnancy. This will help to offset the fragmented care that the report identifies as an issue. This will help to improve detection of illnesses and will improve communication between health professionals. “It is worrying that so many deaths are attributable to suicide. 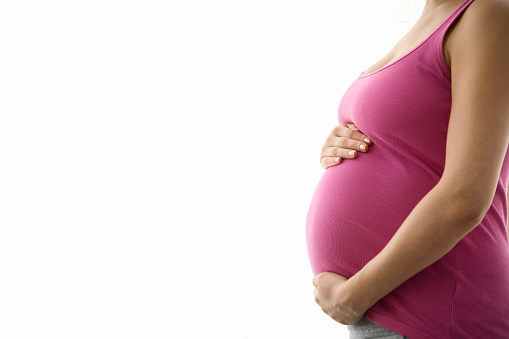 The Government have said that improving mental health care for pregnant women is high on their list of priorities. These deaths starkly illustrate why this is so important and why resources and funding are need in this area urgently. This included more specialist mental health midwives and more specialist mother and baby units for women with mental health problems. Steps are being taken in this area, but more is needed and quickly. “There has been progress in reducing deaths for example those related to flu. More women are being offered the flu vaccination and more are taking this up, and this must be recognised and applauded. This also highlights the importance of vaccination against flu for pregnant women. Professor Derek Bell, President of the Royal College of Physicians of Edinburgh, said: “It is extremely positive news to hear that maternal deaths from conditions such as pre-eclampsia are now at their lowest rate ever, which can be attributed to high quality maternal care in the UK. “However [the] report highlights a number of areas where further progress is required; heart disease remains the leading cause of death in pregnancy, and preventing such deaths are central to reducing the overall number of women dying. There has also been no improvement in the rate of deaths from mental health problems during and after pregnancy. “Healthcare professionals will continue to play a central role in reducing maternal mortality and morbidity, but the report contains good advice for women to both become as healthy as possible before becoming pregnant, and to be aware of symptoms that may pose a risk to their health during pregnancy. The report, executive summary, lay summary and infographic is available at www.npeu.ox.ac.uk/mbrrace-uk/reports.